Each day on my way to work, I call my mom just to hear her simple, loving words: “I hope you have a nice day.” I park my car, finish my coffee, and pray for guidance. These prayers continue as I walk into work, through the automatic doors of the emergency room at Sharp Grossmont Hospital, and hit the ground running, never knowing what adventure I may be in for or what God will teach me. Growing up, I always had a love for family and caring for others. My father, the most amazing man I have ever known, first instilled this in me. He was fun-loving, comical and authentic. But when I was 15, tragedy struck. My father became terminally ill. As I stayed by his side, I watched nurses take care of him and was so grateful for the quality of care they provided. It was then that I knew I wanted to be a nurse, someone who could provide the same very special care to other people’s family members in their most vulnerable times of need. 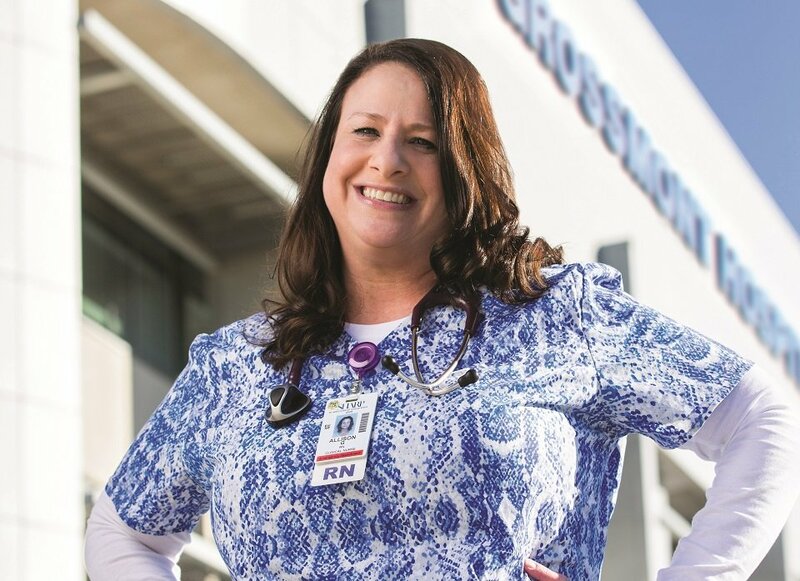 I received my associate’s degree from Grossmont College — with the unmatched help and guidance of Debbie Yaddow, Grossmont College’s Allied Health and Nursing Dean — and became a nurse in 2006. In 2010, I was awarded Nurse Mentor of the Year at Sharp Grossmont Hospital, where I currently work as an RN and serve as the chair of a unit practice committee. 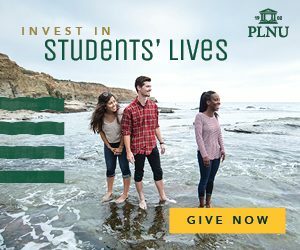 And, I joined the RN to BSN program at PLNU in May 2015. Going back to school to achieve a higher degree is something I’m doing not only for possible career enhancement; it’s primarily been for me. At first, the chance of being unsuccessful and the idea of spending a great deal of money on myself—when I have a son who will soon be entering college and a four-year-old daughter—made the decision feel daunting. But while I’ve always cared for loved ones and put their needs before mine, I felt this was important for my needs and life. After long quality conversations with the program’s advisor and reassurance from her that I could be successful in the program, I joined. Related Article: Should you go back to school to earn your bachelor’s degree? I hadn’t been in school for 10 years, and it was overwhelming at first. Then, I met an extraordinary professor, Michelle Riingen. She taught with such grace. In class, she mentioned going on a mission trip to a third world country and shared how she cared and prayed over a sick woman there. This truly moved me. She helped to instill faith in me that I could not only do well in this program but also impact many lives. Through my journey in the RN to BSN program I have learned a lot about God, His love for others and myself. I’ve found my vocation: I am here to be a caregiver and to help all people in any capacity I am able to. I’ve also come to believe that all things are possible because of Him. Working in the emergency room, I come in contact with a variety of people, including homeless individuals and families, people who are addicted to drugs or alcohol, and many others with different medical complaints. While I may not agree with some of their walks of life, or the choices they have made, I won’t turn my back on them. God gave us free will, and if someone makes a mistake, he or she can still pick up the pieces. I want to support all my patients, no matter where they are in life or what choices they’ve made; I will put my hands on them and help heal them and comfort them. I am continually learning that we are God’s precious creations and we are not perfect. I cannot judge anyone. I am in my position to care for people in the ways God wants me to, in the ways they need and deserve to be cared for. I do this by giving them the medical treatments they need, providing therapeutic communication for their psychological needs, and even through the power of prayer if they are comfortable with it. My faith in God seems to be growing on a daily basis. The RN to BSN program is one way that God is working in my life and my future. My words of advice to nurses considering going back to school for their BSN are: go for it. Investing in myself enables me to be a better person for everyone I come in contact with, and it allows me to take care of others the way they’re meant to be taken care of. I also get to be a role model to my children and family, who see me strive to get my BSN. You can do it, too, and you deserve it. This program will allow you to open up your life and heart to knowing more about God. God continues to teach me about loving others and myself, doing good, and serving all his people and children. I feel that through this program and my work, He is preparing me to be the best servant, wife, mother, daughter, and nurse that I can be in this life, for His divine purpose. Related Article: The four roles of advanced practice nursing.